Atiku made reference to Buhari's alleged US ban when he was asked why he (Atiku) has been unable to enter the country. The Presidency has denied the claims by former vice president Atiku Abubakar that President Muhammadu Buhari was at a time denied entry into the United States for 15 years. 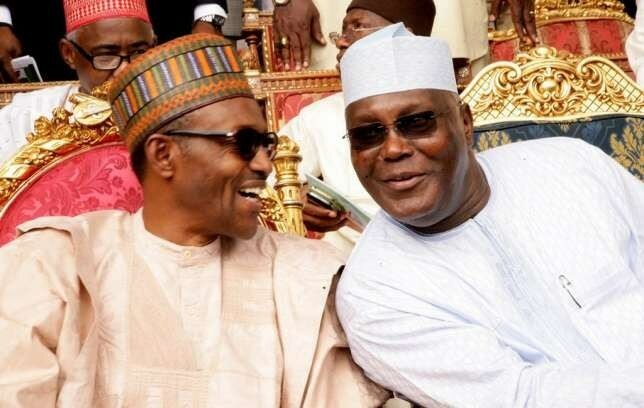 Atiku had in an interview with Dele Momodu alleged that Buhari was not allowed to enter the US for 15 years because of "religious considerations." He made reference to Buhari's alleged US ban when he was asked why he (Atiku) has been unable to enter the US. According to him, the US has not granted him entry into the country. He cited Buhari's case to suggest that it is no big deal that he too was not granted entry. But the Special Adviser to the President, Femi Adesina described Atiku's claims as a "fictive concoction being passed off as truth". "At no time was President Buhari, as a private person, ever forbidden from entering any country in the world. Rather, the rest of the world has always held Muhammadu Buhari as a man of sterling qualities, strong on integrity, transparency and accountability. The same testimony is still borne of the Nigerian President by many world leaders today", Adesina said in a statement issued on Saturday, December 2, 2017. The Presidential aide, who also countered Atiku's statement on Twitter, said it is mind boggling that the former vice president, who should know the truth is the one spreading falsehood. Adesina added that, "it is curious that former VP Abubakar had been asked why he had not visited America for over a decade, something that had been a stubborn fact dogging his footsteps. Instead of answering directly, he begged the question, saying Buhari also had been disallowed from entering the same country for 15 years, before becoming President. We hereby make it resoundingly clear that what the former Vice President said only exists in the realm of his imagination. If he has issues to settle with American authorities, he should do so, rather than clutch at a straw." Atiku had recently resigned from the ruling All Progressives Congress (APC). He said the "dying" party has failed the Nigerian youths, who are the custodians of the future.